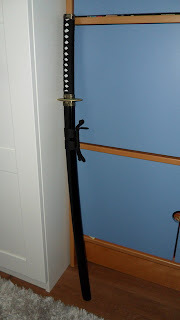 Today I got a sakabatou sword from one of my best friends. She had planned to use it for her own Kenshin cosplay originally but the sword is pretty... damaged, derp and I don't even... so she wants a new one and when I told her I will cosplay Kenshin this year and have everything else ready, except the sword, well, I got it. xD It doesn't have the same tsuba and stuff like Kenshin's sword but it is reverse bladed so it's okay. I've been trying to figure out if there is any way to fix the many errors it has but I'm drawing blanks. 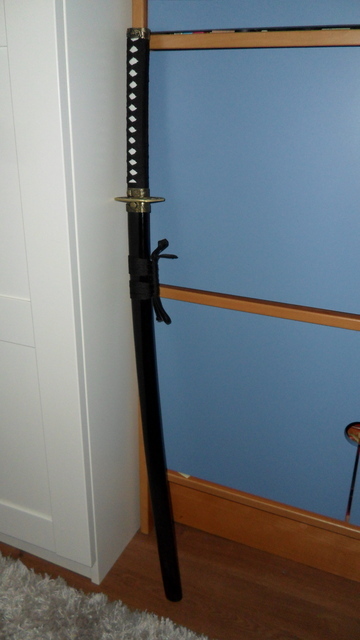 It seems to be constructed very weirdly (read: not like your usual katana) and it also seems there is no way of taking it apart to reassemble it and check where the faults are. *shrugs* Oh well, it looks decent half-way out of the sheath but if I draw it I will have to check so that it doesn't go major herpaderp. Oh well, here's my first try! 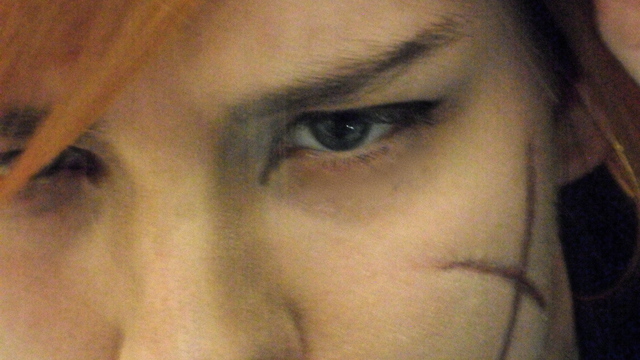 I was lazy doing the base makeup... mostly just focused on eyeliner and the scar. My wig doesn't have a thick ponytail currently. I think I might add some volume to it later; I don't really have time to do it right now (and I need to save money haha... ha...) so this cosplay will be upgraded sometime after its debut. 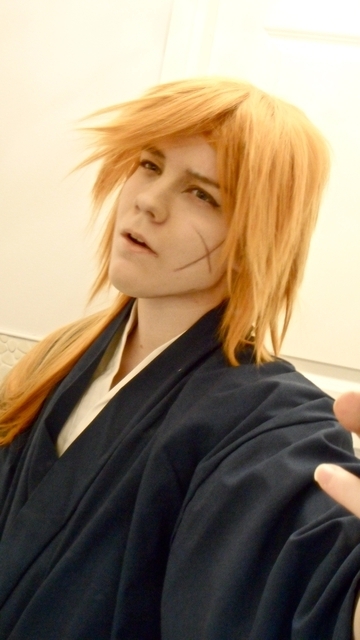 Also before I put the cosplay on I noticed I had nothing at hand that I could use to make my eyebrows orange. 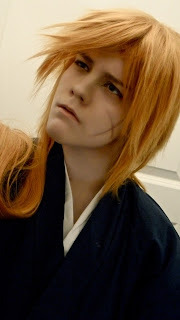 But then I remembered that back when I started cosplaying and did Ichigo Kurosaki from Bleach, who also has orange hair in about the same shade, that I didn't color my eyebrows either, lol. 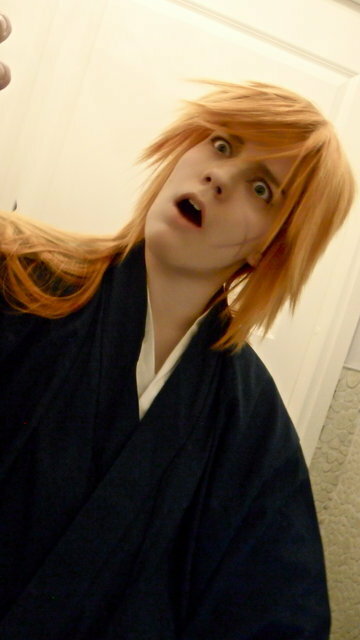 Well, back then I didn't even know you could do that and it looked surprisingly okay. I'm not sure if I should still opt to color them though... any opinions? Oh, and before I say goodbye for today I must share with you this..
Stay tuned for a possible Kenshin preview photoshoot during the next few weekends! 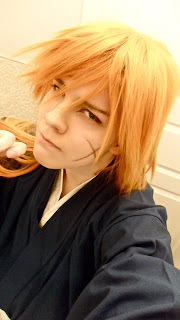 Yepp that was a Ichigo waning XD But you look really good and for a try out it look really awesome. 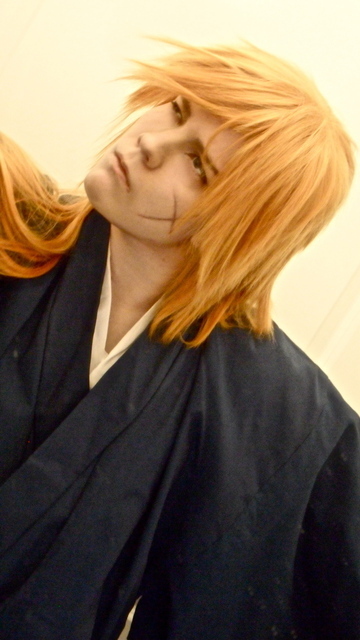 And the Katana seem like something I would like to try and fix XD So I hope you find a way to get it right. It is fun to take stuff apart really even if it is hard to do and put it back on right. Wow, looks great! 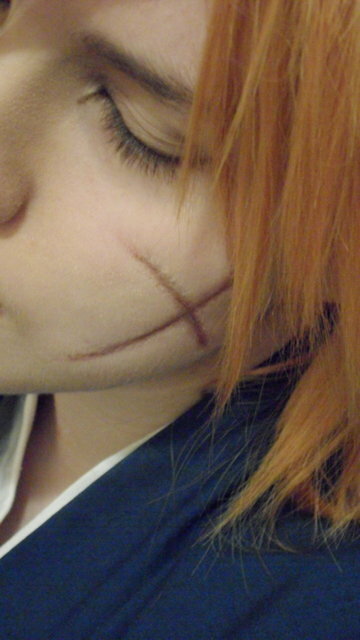 Even though I'm not too familiar with the series or manga, but the makeup and the scar looks very well done. I think it looks fine without orange eyebrows too. Rigid Collodion vaikuttaa hyvältä aineelta. Pitäis varmaan itsekin koettaa sitten kun teen Toshiielle arpia. Suosittelen, se on tosi bueno! !